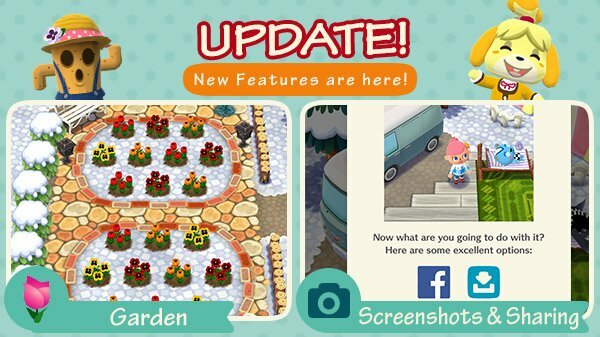 This week, Pocket Camp is giving camp managers a taste of spring in the middle of their winter, with an update that adds a garden to players’ campsites. 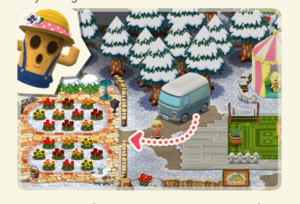 This lovely new area is the perfect place to while away time on cold days, planting and growing flowers to your heart’s content. To kickstart your new area, the in-game store has a special Gardening Starter pack available for purchase. The packet includes food that makes your flowers grow 30 minutes faster. The cost is 20 leaf tickets + $.99. The offer is limited to one per person and will be around until 1/22. 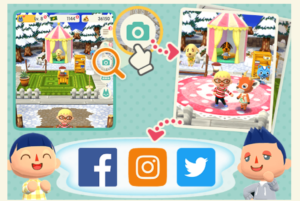 Also added to the game this week is the ability to share Pocket Camp screenshots with friends. Simply tap the camera button at the top of the screen to make a picture, then post it on Facebook, Twitter, and/or Instagram. Screenshots can be taken of your personal campsite or from inside your camper. 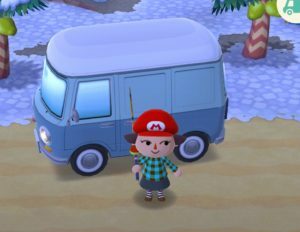 Besides the new updates, Pocket Camp is celebrating the 1-year anniversary of the Super Mario Run mobile game and giving players a “Big Bro” hat as a free reward. Check your in-game mailbox any time before 1/15 to obtain it. Lastly, for those of you trying to collect all of the special holiday event items, you have until 12:59am on 12/26 to do so. So, what are you waiting for campers? Get to gardening. And, while you’re at it, take some fun pics to share with friends. After all, there’s not much better way to shake off those winter blues than to toil in your new garden and watch your flowers grow.